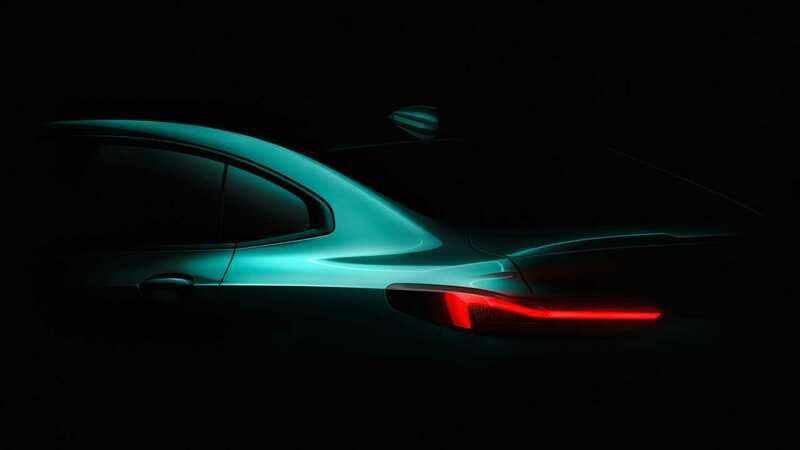 At the annual press conference in Munich, Germany, BMW has given us the first glimpse at the new four-door 2 Series Gran Coupe and hinted at a reveal date. That said, chances are you have already seen the spy photos featuring the camouflage-cladded vehicle from various angles. These leaked online two years ago, after all. It is official that the car will utilize the front-wheel-drive UKL platform, which the manufacturer also uses for its BMW 1 Series sedan/saloon available in China. Based on its general outlines, however, the new car feels distinctly different from its Chinese counterpart. It will also likely offer a much higher level of comfort that is more in line with its Gran Coupe class. The new BMW 2 Series Gran Coupe is slated for release in many countries and regions, which in turn means that it will ship in numerous configurations, including front-driven, 4WD, gas-, diesel- and hybrid-powered, with and without the M Performance package, and so on. The M235i performance trim, fitted with a 370 hp (276 kW) engine, will assume the position at the top of the range. The company says the new BMW 2 will celebrate its live premiere in November, supposedly at the 2019 Los-Angeles Auto Show. The manufacturer may also be willing to show us a concept car before the final production version. While there is no official statement confirming this, we might be able to see the alleged 2 Series Concept as soon as the Auto Shanghai or the New York Auto Show in April. First cars will not become available until at least the spring of 2020.